Matt has been a professional photographer for over 20 years, firstly, as a SWPP member where he specialised in Portraiture and Fashion. He won many awards for his work, but decided that he needed a new challenge. 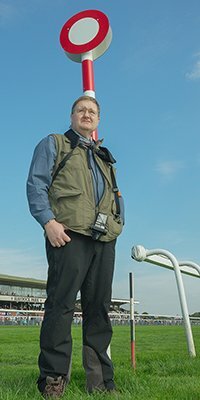 He has always been a huge fan of Horse Racing Photography and decided that he would like to specialise in this field - he has never looked back! “I consider myself to be so lucky that I learned my skills in an era before cameras became all-singing, all-dancing electronic photocopying machines. Matt has been a racing fan since his days as a school boy who used to go to his friend's house every Saturday morning and spread out The Sporting Life on the floor to pick the winners for the days racing on TV. Exciting times. It was a natural progression therefore, that at some point Matt would combine these two great passions. So, here we are!